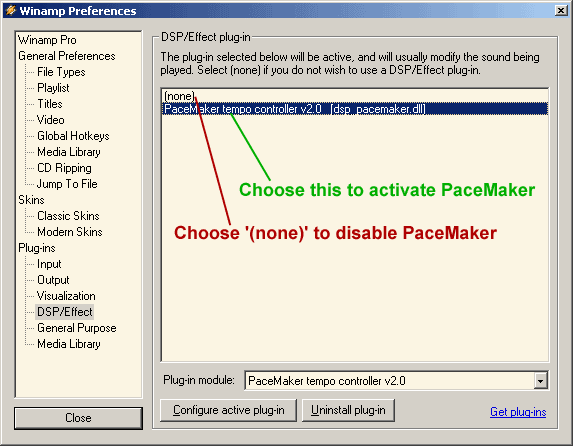 PaceMaker plug-in installer activates PaceMaker so that it automatically opens when Winamp and/or MediaMonkey player starts. If the plug-in has been manually deactivated or it does not appear with Winamp / MediaMonkey playet, it can be re-enabled as follows. Start the Winamp player application. Choose entry "Plug-ins->DSP/Effect" on the property tree at left side of the Winamp Preferences window. Start the MediaMonkey player application. 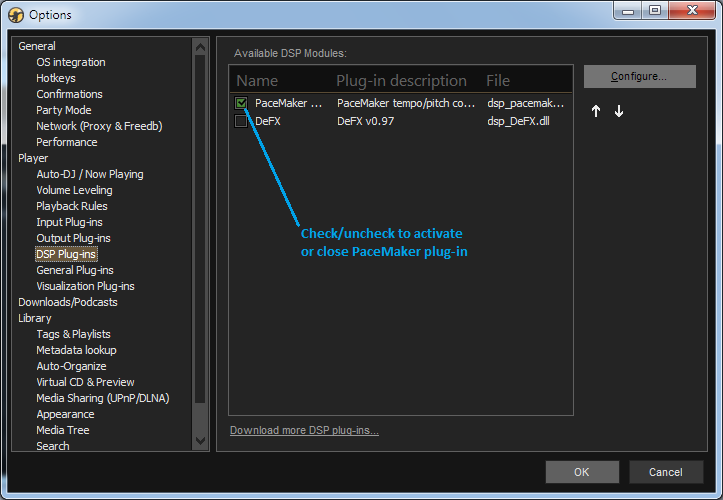 Choose entry "Player->DSP Plug-ins" on the property tree at left side of the Options window. To permanently uninstall PaceMaker plug-in from your computer, go to Windows Control panel, select "Add or Remove Programs" and uninstall PaceMaker from the list of software.